In 2019 the Festival will take place from September 19 to 29. Submissions will open this month. September 30, 2018 — Hollywood, California — Today is the last day of Global Nonviolent Film Festival. Tomorrow, October 1st, the Jury will communicate the awards; the Award’s Presentation video will be uploaded on the Festival’s Vimeo TV Channel. All the 11 daily video presentations and the trailers of the 32 films will remain available on the channel indefinitely; the full length films will be removed from the channel at the end of the day on October 2nd, as per our agreement with the filmmakers. 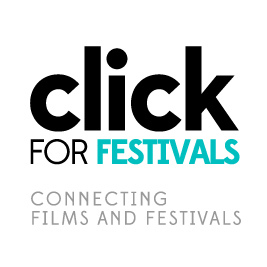 Today’s video presentation by film director and artistic consultant of the festival Bruno Pischiutta and actress Christie Norton (who is featured on the Festival’s 2018 poster) is now live on the Festival’s broadcast channel alongside all 32 films selected from 20 countries that are participating in this year’s event. Global Nonviolent Film Festival is the most important and renown nonviolent film festival in the world and it takes place online, on it’s TV channel, between September 20 – 30. Every day throughout the Festival, a new Daily Presentation video goes live on the TV channel. The world viewers may watch any of the trailers and daily presentations for free. There is a small fee being charged (pay-per-view) by the Festival to the viewers when they watch any of the full length movies, documentaries, docudramas and music videos; the viewers have also the “Rent All” option for 50 Canadian Dollars that gives them a streaming period of 72-hours during which they may choose to watch any of the available films. The trailers remain available for viewing for 12 months; the daily presentations remain available indefinitely while the full length films are available between September 20 and 30 only. SUBMISSIONS ARE OPEN FOR THE 2019 FESTIVAL! ©Global Film Studio 2012 – 2019.